It sure seems that way..lol!!! 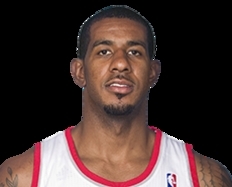 !...LaMarcus wants his touches like he had in Portland and he doesn't want to play center at times. At least that's my belief. But he's said otherwise so we'll see. I'm not so sure about this, seems kind of soon to be giving up on the guy. I guess we will find out. I think we know the answer now....lol. Nope.....lol. Egomaniac Kobe, Obtuse GM Mitch Chase Aldridge from LA.